A magnum of places, people, culture, traditions, colours and religion, India is a country that will surprise you with its never ending allures. 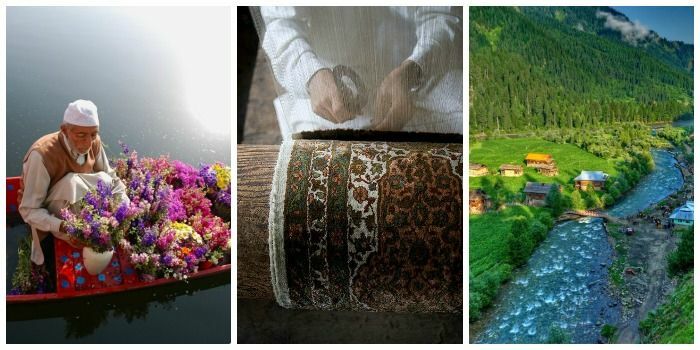 Witnessing the trails of the architectural pasts to experiencing the serenity of valleys, drenching in the salty sea waters or soaking in the religious rituals, India can delight you in more ways than you imagine! 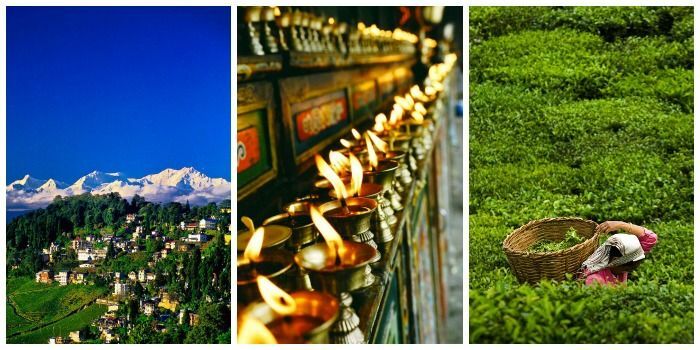 Dotted with innumerable charms, a journey across these 13 destinations will bond you with your loved ones like never before. What are you waiting for? Start planning now! 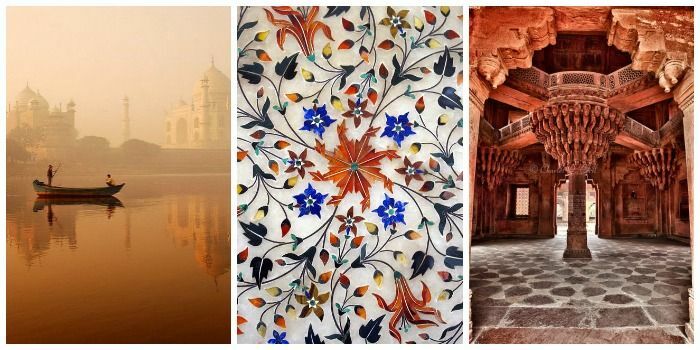 From the ancient Mughals to Afghans, experience the phenomenal monuments to unique restaurants, bustling bazaars of Old Delhi to fascinating malls of New Delhi, street shopping at Janpath or Sarojini to the street food at Chandni Chowk, Delhihas something for every traveller. – Janpath or Sarojini Market for bulk shopping! 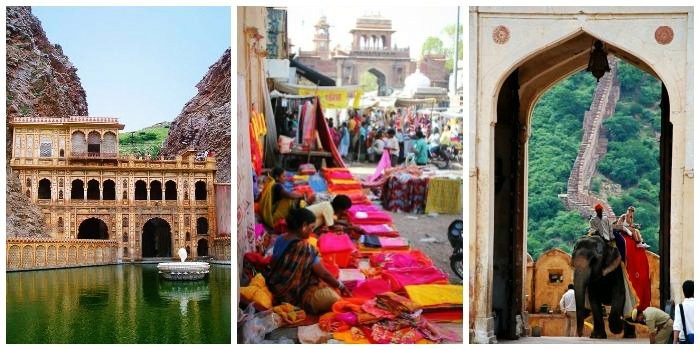 Further ahead lies the journey to the traditionally colourful city of Jaipur, inviting you to the majestic architectures and hand crafted souvenirs. The city boasts of its royal Rajput influence, lifestyle intricacies, and rich art & cultural history. 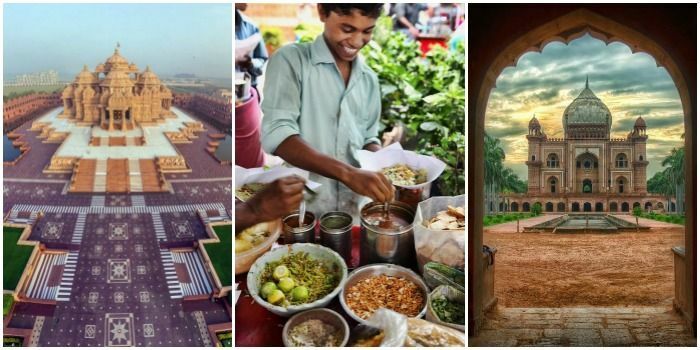 – Chokhi Dhani for the ultimate Rajasthani experience. Tip: A trip to Chowki Dhani is a must if you’re short on time and want to have to real Rajasthani experience. 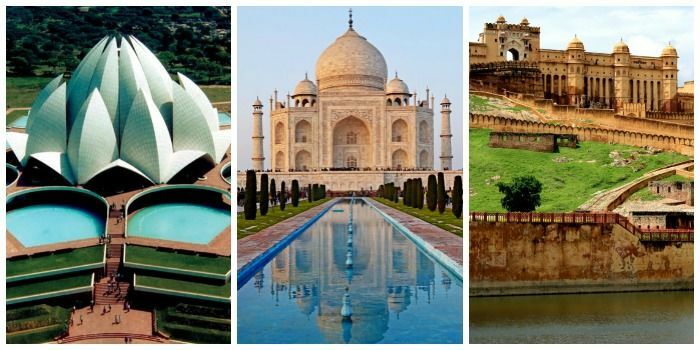 Finally, stop by at the city of love – Agra and immerse in the beautiful Taj Mahal. Situated by the banks of Yamuna, this symmetrical monument took about 22 years to complete and is celebrated as an epitome of love all across the world. – Agra markets for Inlay work on marvel and traditional carpets. Tip: Taj Mahal is closed on Friday. Plan your trip accordingly. Travelling with family and planning to miss the state, you could lose out on a lot! 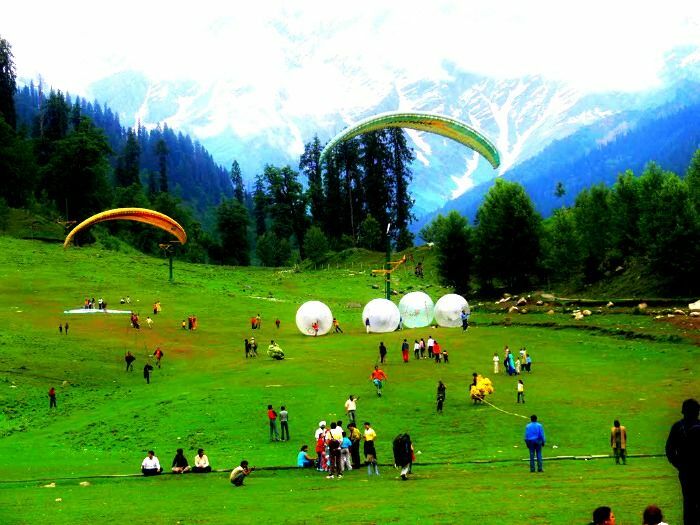 Right from river rafting to trekking expeditions to scenic landscapes, Himachal is an apt choice for a traveller with kids. Soak yourself in the mild sunlight and breathe the fresh Himalayan breeze while your kids go paragliding, mountaineering, jeep safari and more. Tip: Avoid trekking trips with children below 10 years and elderly. Temperature at Rohtang Pass is usually very low, hence heavy woollen clothing is advised. 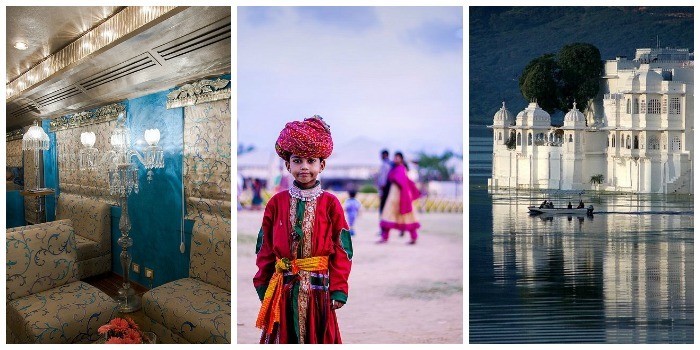 This mini Switzerland of India attracts tourists from all over the world, across various age groups and is always on the list of every Indian. You definitely need to visit this paradise on earth and meditate in the flower valley hearing the laughter of your loved ones. Best time to visit: In spring, April – June & In winters, December – March for Skiing. Experience living in the foothills of Himalayas and wake up to the highest of peaks & deepest of valleys. Away from the hustle bustle of the city, reside in the tranquil hills. A trip to north east definitely invites you to the tea estates of Darjeeling. Taste the authentic momos and Darjeeling Tea! Tip: Heavy woollen clothing is advised for children and elderly in higher altitude areas. The royal Rajasthan and its luxury is worth experiencing with your family. Royal Rajasthan on Wheels offers a chance to explore the vast deserts, majestic palaces, glimpses into the wildlife and the beautiful havelis of Jodhpur, Udaipur, Chittorgarh, Ranthambore & Jaipur. Tip: The train makes a trip to Khajuraho Temples, Madhya Pradesh. Select your locations as per your choice. The once known ‘Kaalapani’ is now a popular tourist destination. 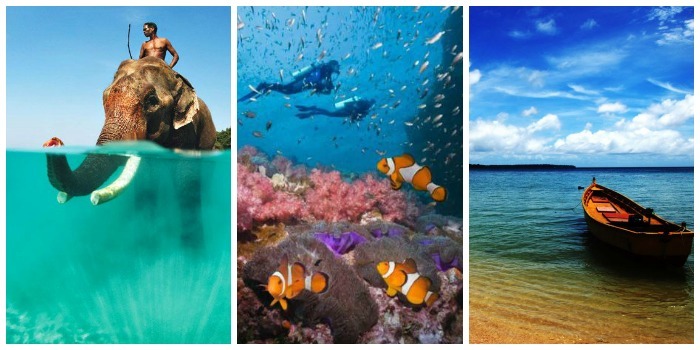 The tropical environment, white sandy beaches and coral reefs, lush green rainforests and active volcano make a trip to Andaman an adventurous and mesmerizing one. Tip: Avoid locations with high tribal density. Nicobar Islands are out for bound of tourism activities because a majority of tribes reside there. Planning a religious-fun family tour this year? 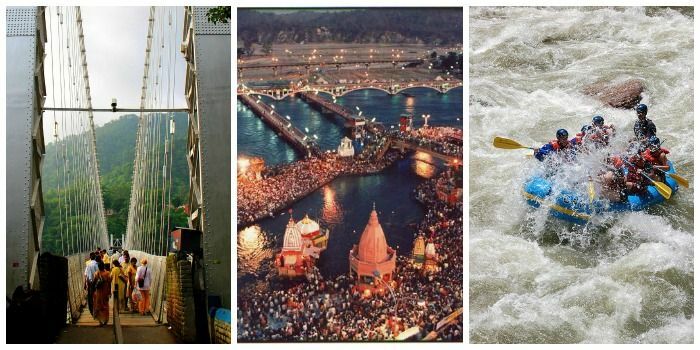 Haridwar and Rishikesh is the place for your family! Visit one of the most holy cities of India and bathe in the Ganges, wash your sins away. Walk on the swaying Laxman Jhula with your kids and travel to Rishikesh for some adventure. Tip: There’s no alcohol or non-vegetarian food available in the holy city. If you can’t deal with a strict vegetarian diet, you might not enjoy the place. This narrow strip of land along the Arabian sea boasts of its natural vegetation, rich flora and fauna, beaches and backwaters and romantic views. Visiting Kerala would prove to be completely relaxing and rejuvenating trip for your parents and children alike. Nestled amidst seven lush valleys of Uttarakhand, Naini lake is believed to be found by Tri-Rishi (lake of three sages) and was explored by the Britishers as a holiday getaway spot. 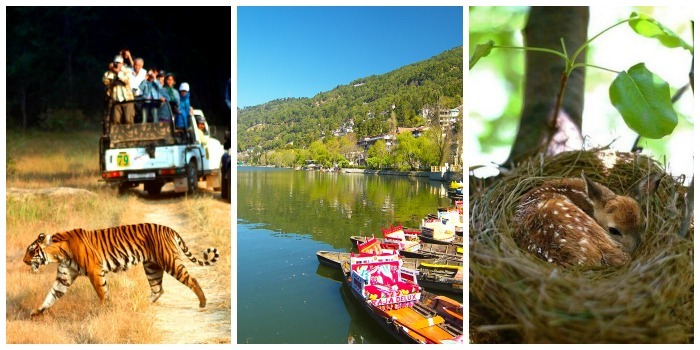 Located about three hours away from Nainital, Jim Corbett is a popular wildlife resort. Over 70,000 tourists visit the national park all-round the year. Tip: Thrill yourself with a stay in the jungle at the wildlife resort within the park’s premises and you might even get to see a tiger! Varanasi or Banaras, is the oldest city of the world. Located by the ghats of the holy river Ganga, the city is a must visit for a splendid religious experience. 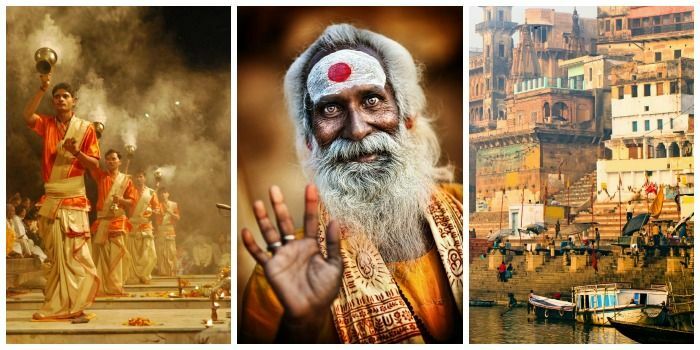 Symbolizing spiritualism, philosophy & mysticism for thousands of years, Varanasi hypnotizes the tourists with its magical chants and echoing aartis. 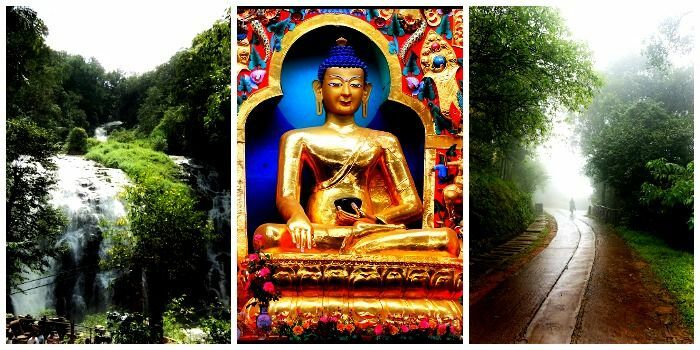 Tip: This city of temples, gallies and ghats will lure you to explore more. Plan your destinations according to the time you’ll have. 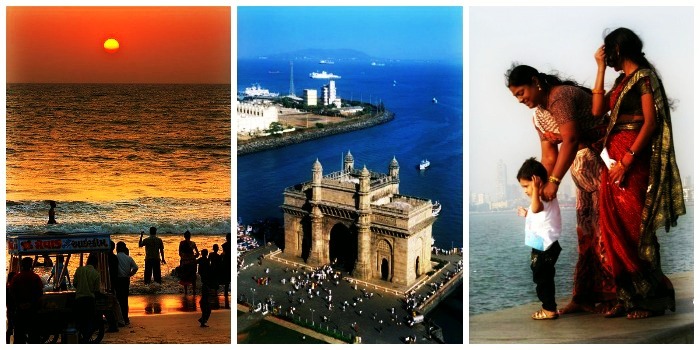 Home to most of the Bollywood celebrities, Mumbai, the city of dreams, literally never sleeps. Be it the mandis preparing for early morning customers or marine drive for a walk by the see any time, places near Mumbai attracts tourists like crazy. – Bandra for a great street shopping experience and stop by at Band Stand, in front for Shah Rukh Khan’s residence Mannat for a peaceful seaside time. – Juhu for its choupati consisting of tapris serving lip smacking chaats, pani puri or pav bhaji. – You may also wish to travel to Lonavala, Shirdi and Nashik. Plan your travel wisely. Tip: If you’re travelling to Mumbai in summers, you may not enjoy much, due to high humidity levels. 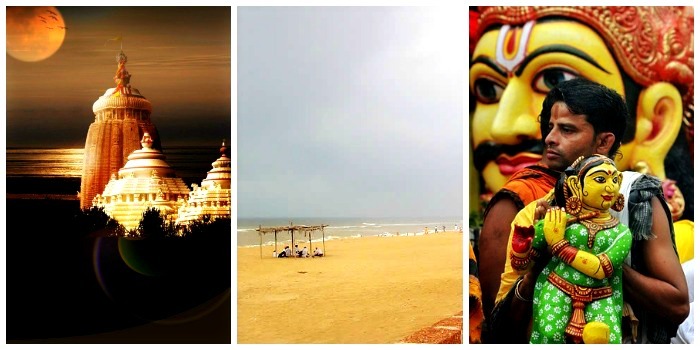 This beautiful city mostly remains untouched throughout the year until the Jagannath Yatra begins. The city welcomes you with a cool breeze even on the most summery days and the majestic temple adds an aura of peace to your leisure travel. Planning a trip down south and looking for a serene scenic getaway. 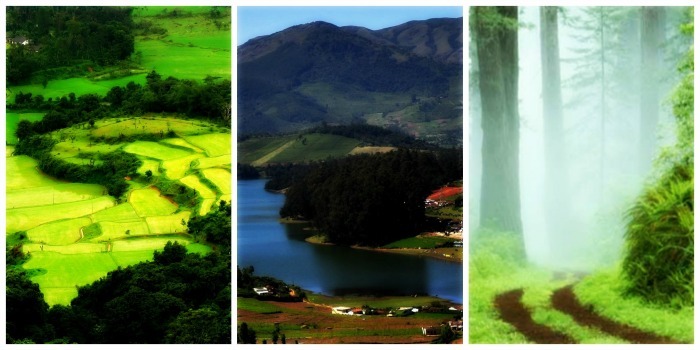 Coorg, Ooty and Kodaikanal serve as a perfect destination for a relaxing holiday! Located in the Western ghats, Coorg is locally known as the Kashmir of Karnataka. 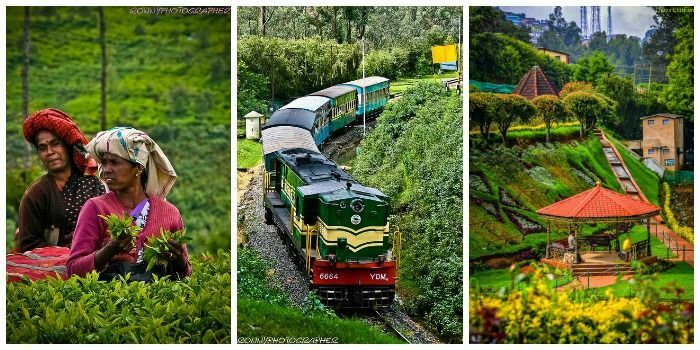 With over three wildlife sanctuaries and one national park, gorgeous sunset points, waterfalls and plenty of coffee plantations, Coorg makes an ideal getaway with family. Tip: In winters, the temperature can drop below 8 degrees. Hence, woollen clothing is advisable. Tip: In winters the temperature might drop down to 5 degrees or less and hence, woollens are recommended. 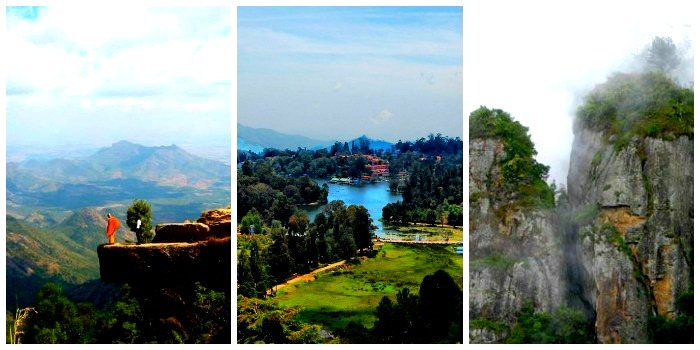 The mighty rocks, bowers, creeks, long stretches of forests and the meadows define the charm of Kodaikanal. This princess of hill stations has started gaining popularity recently and offers a perfect getaway resort from the city bustles. Tip: Children are advised to walk carefully on steep trails.